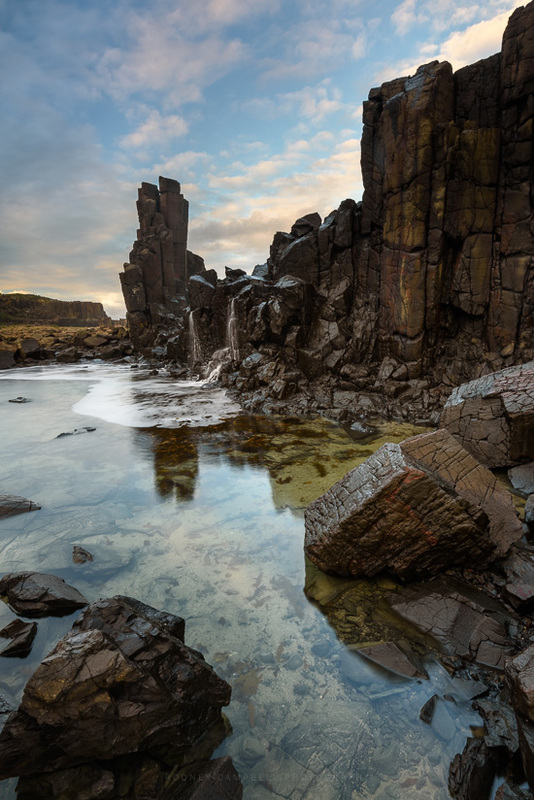 Located between Kiama Downs and Kiama, the Bombo Quarry site is an impressive and fascinating place. 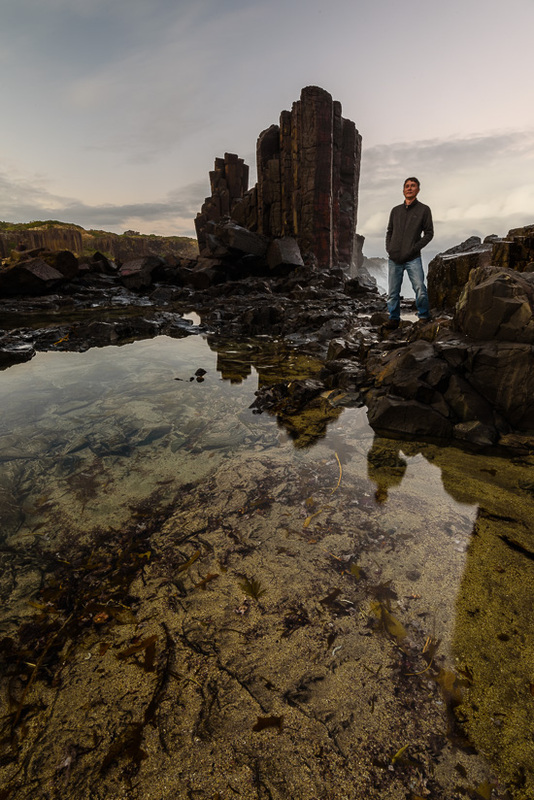 The Bombo Headland is home to clusters of hexagonal basalt columns which make for wonderful photographic opportunities. 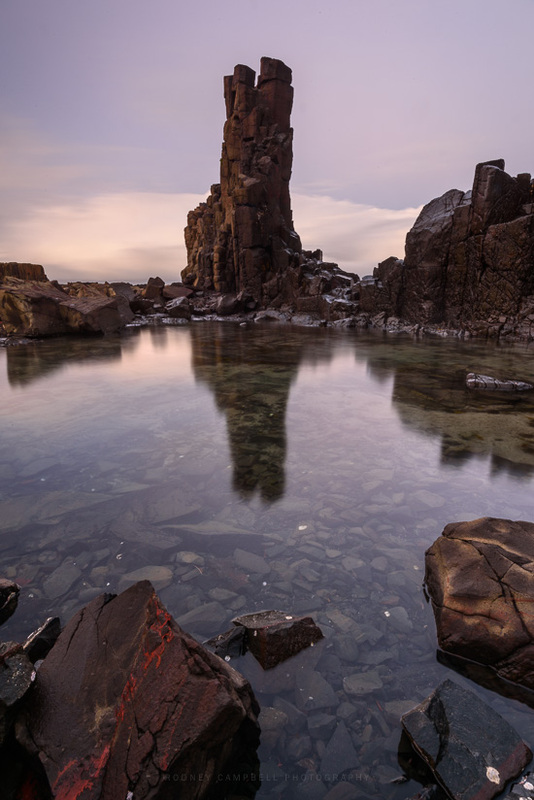 The basalt walls and columns are a legacy of blue metal quarrying in the 1880s and 1900s. The quarry has since closed, leaving behind a prehistoric land that time forgot. Ron, Jess, Deb and I made a Saturday trip down to Kiama to photograph the area at sunset. This is typically a sunrise location but I figured shooting the columns from the landward side would also work up to sunset. 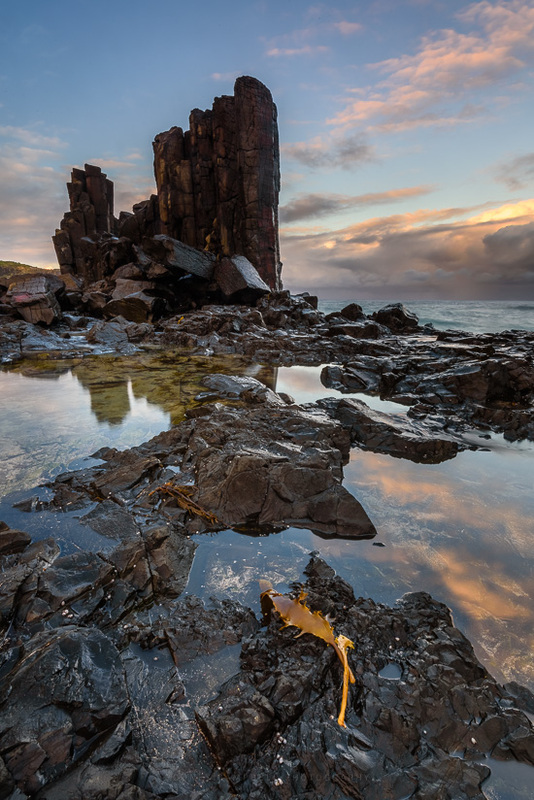 The main attraction for photographers are these large black hexagonal basalt columns that were left standing to prevent the ocean from entering the quarry. Of course the water does now get into the quarry… When particularly large waves roll in and crash against the walls the water tends to spew up and over the top. Great for getting nice reflective pools of water and water cascading down the inside faces of the rock walls. Also great for an impromptu showed if one is not careful :).